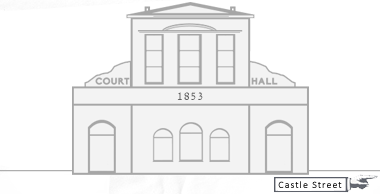 Court Hall was built in 1853 by eight parties, each of whom had a 2/16ths shareholding in the premises, as follows: John Perkins Stancomb, Jesse Goldsmith, Thomas Clark the Younger, John Slater, George Haden, John Edward Hayward, Rowland Rodway, and Frederick Webber. Conveyance dated 22nd July 1853. The Surveyor of County Courts was Charles Reeves (1815-1866) of 102 Guildford Street, Russell Square, London, who is known to have designed 64 County Court buildings. Newspapers of the time show that for a number of years the Court Hall was used by the Mechanics’ Institute for their meetings, and was the venue for a wide range of social activities. These included plays and concerts, such as the Vocal & Instrumental Concert of 26th February 1867. However it was never actually used by the court for the Petty Sessions, which were held at the Police Station in Stallard Street. In 1871 it was bought for £1,200 by Goldsmith brothers, Jesse the Younger and William, who later converted it into a cloth warehouse and let it out to W.H. Tucker & Co. The seats etc formerly used for Public audiences were sold off by auction. The Goldsmiths owned a number of other significant properties in Trowbridge, including The Home Mills, occupied by Samuel Salter & Co, plus associated offices and warehouses; Duke Street Mills; Duke House, family residence on Duke Street; and various other dwellings and business premises. On the death of Jesse Goldsmith the Trustees of his will sold all the above properties by Public auction on 5th March 1885. Court Hall was Lot 5. 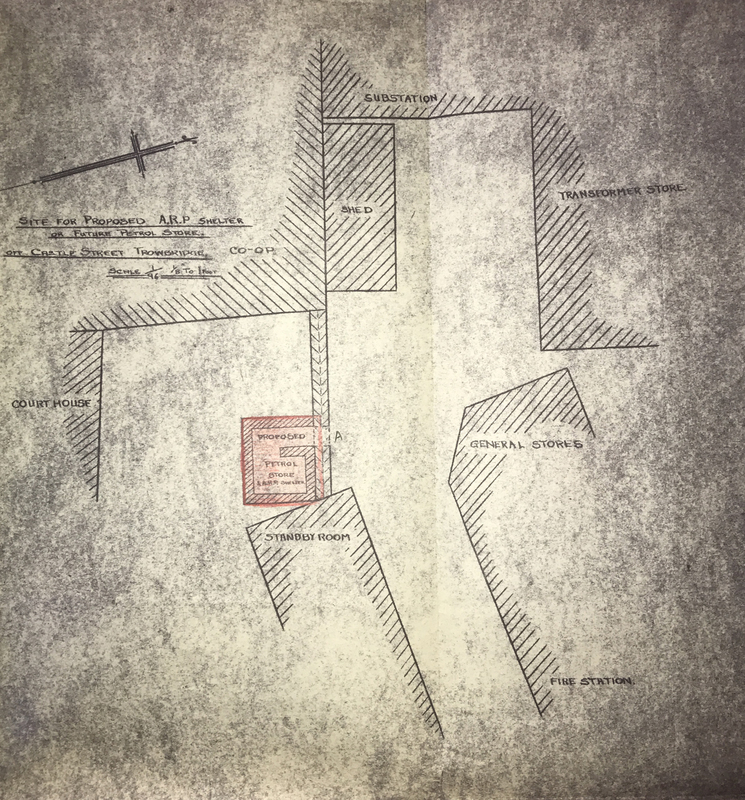 The successful bidders were William and James Mackay, woollen cloth merchants, who paid £1,200, (plus auctioneer’s fee of 8 shillings 3d, and contract fee also of 8 shillings 3d). W.H. Tucker & Co. continued to occupy the building until the outbreak of WW2 in 1939. 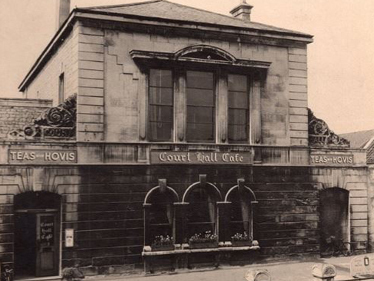 From 1911 to 1946 Court Hall was owned by the Starkey family, also woollen cloth merchants, but for the duration of the Second World War it was used by the American forces as a store, ending the war as a Services Club. In January 1940, Tuckers entered into a Lease Agreement with the Wessex Electricity Company, allowing it to occupy the land immediately to the North of Court Hall (now forming the pedestrian entrance to the Shires Shopping Centre off Castle Street) in order to construct an air raid shelter and ancillary buildings for an annual rent of £1. After the war Herbert Stanley Starkey sold Court Hall to Leslie and Alice Hoare, a local couple from Hilperton. 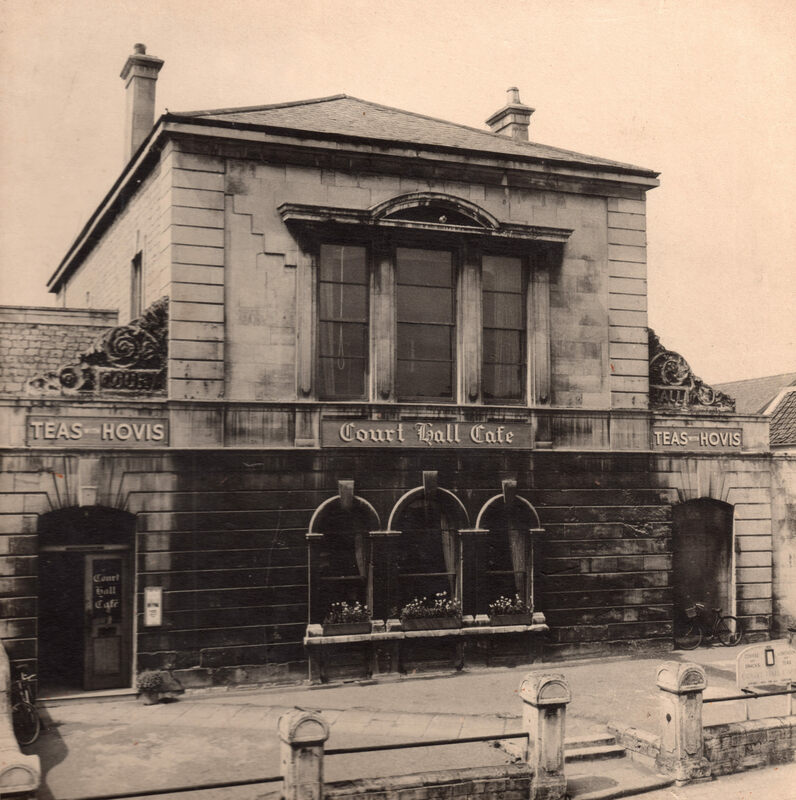 It subsequently became the Court Hall Café from 1946, operating as a café restaurant. In 1948 the café business & premises was leased to a Swindon based company, Swindonia Limited, for a term of 14 years at an annual rent of £300. By 1958 however the café was due to be closed, but as it was considered to be good for Knees customers, H.J. Knee Limited took an Assignment of the lease on 31st December 1958. The following year Noel Knee, (grandson of H.J Knees founder, Henry Knee), acquired the freehold title to the property, and reinvented Court Hall as a Public House, calling it ‘The Woolpack’. This revived the name of a former pub on Fore Street in Trowbridge which was demolished in 1914 to make way for the Palace Cinema, (also long since demolished). Noel wished the ‘Woolpack’ name to be perpetuated because of its association with the cloth trade in Trowbridge. Noel put in toilets and a dance floor upstairs, and catered for Dinner/Dances, using the whole of the ground floor as a restaurant. At this time however, the licensing laws were extremely onerous and restrictive, and initially Knees were granted only a conditional license for the sale of ‘intoxicating liquors’ for a term of 2¼ years from 12th March 1959. The conditions were that the premises could not open for the whole of Sunday, and that alcoholic drinks could be served only with meals, or to ticket holders attending organized functions, such as dances. Noel had plans for extending the building to provide a new cocktail bar and to maintain a full time barman however, and applied for planning permission for the same in anticipation of the granting of a full ‘On-License’ for which he applied to The Trowbridge Licensing Justices on 9th March 1961. Application by Noel Hebden Knee for a license to sell Intoxicating Liquors on the premises at “The Woolpack”, Trowbridge. The application was met with fierce resistance, not least from the then owners of the George Hotel in the town centre, which was the only fully licensed premises serving evening meals in Trowbridge at that time. The records suggest that a full license was subsequently issued some months later, but only after considerable further effort and expense on the part of Noel and H.J Knees. The plans for the cocktail bar and forecourt alterations were never progressed. In this form The Woolpack proved very successful and it was sold to Berni Inns in 1963, who continued to run it under the same name for many years. In 1986 the freehold title of Court Hall was acquired by property company Merpco/Grand Metropolitan Estates Ltd in the sum of £81,650. At this time it was part of a much larger development site upon which the Shires Shopping Centre was built, opening in 1990. Throughout this time The Woolpack continued to trade as a licensed premises and restaurant, but the ownership of the building passed to Hunters Tor Securities Ltd in 1992, and then again to ATA Engineering Ltd in 1994, for the sum of £581,000. The latter specialise in tooling for the aerospace industry, effectively buying Court Hall by default, due to their then Director, Mr Amos, having an interest in Hunters Tor Securities. 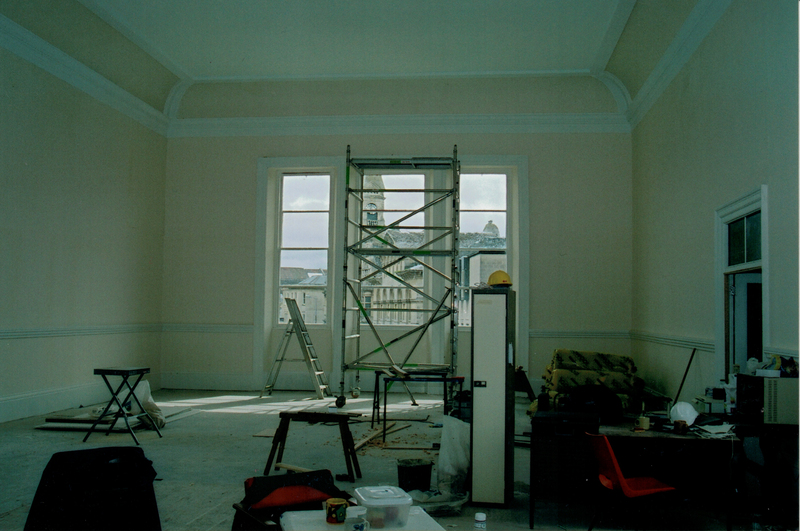 Because of the recession in the early 1990’s, redevelopment of the property was not commercially viable, and Hunters decided to liquidate the asset, effectively passing ownership to ATA Engineering as a stop gap until a buyer could be found. By this time the Woolpack had become very run down and neglected, finally closing for good around 1994/5. Court Hall remained unoccupied for the next 7 or 8 years, falling into a further state of disrepair and neglect, becoming rat and pigeon infested, with leaking roofs and its front terrace overgrown with weeds. In 2002 local brothers Rob & Jon Giles bought the freehold for £425,000, and set about a complete refurbishment prior to establishing a branch of their retail footwear chain, Mastershoe, on the ground floor, with the upper floor let out as offices. 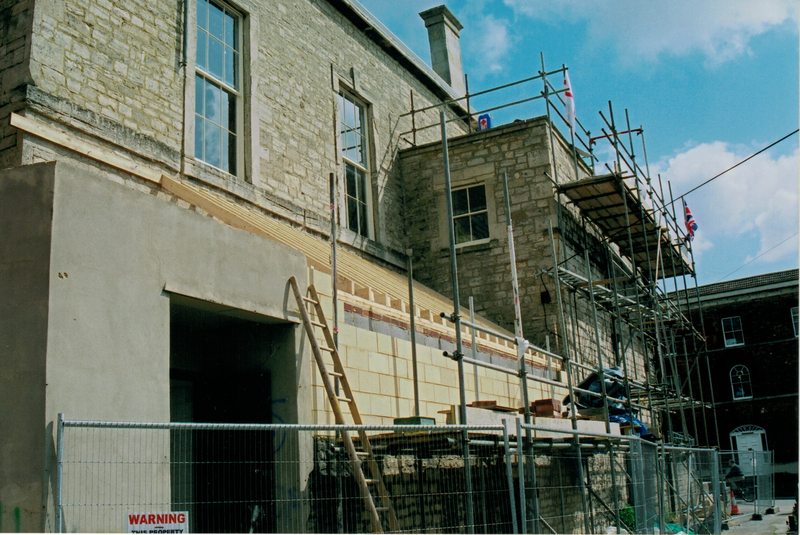 The refurbishment, by Heritage Restoration, won a Trowbridge Town Council Enhancement Award in 2003. Custodial Time Line - COURT HALL.